Entry to the Taj Mahal - unquestionably one of the world's most exquisite landmarks, and thus also among the most visited - has soared in price for Indian residents as part of an ongoing government initiative to bring visitor numbers down. 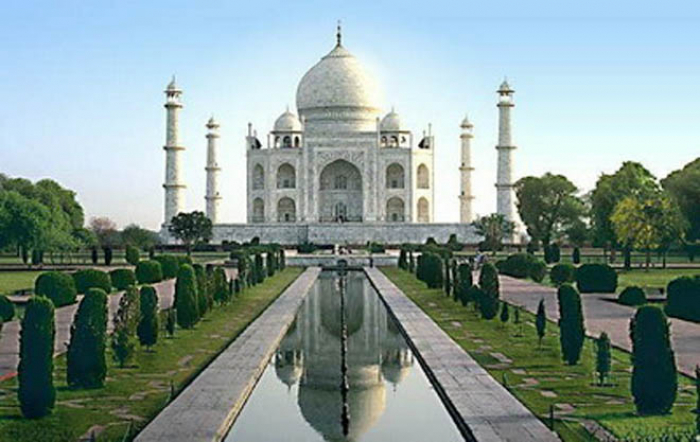 As of Monday, an all-inclusive ticket to access the 365-year-old main mausoleum in Agra will rise from 50 rupees (55p) to 250 rupees (£2.20) for Indian nationals, and from around £13 to £15 for foreigners. Domestic tourists make up the vast majority of visitors to the Taj Mahal, and the decision by authorities to increase the entry fee will likely have a significant impact in a country where the average daily wage is just 270 rupees (£3.14). The price for international visitors only rose by 15 per cent. "We want people to pay more to limit the footfall," said an official from the Archaeological Survey of India, the government body responsible for its maintenance. "This will cut down the number of visitors to the mausoleum by at least 15-20 percent and generate revenue for its conservation." Earlier this year, in another crowd-control move, the government capped domestic visitor numbers to 40,000 a day. Before this, up to 70,000 tourists would flood the Unesco-listed site on weekends and holidays. The cap was partly sparked by a small stampede at the east entry gate last December that saw five people sustain injuries as late-comers tried to force their way into the complex just before closing time. In July, India's Supreme Court threatened to either shut or even tear down the monument over the failure of the authorities to protect it from degradation, according to AFP.